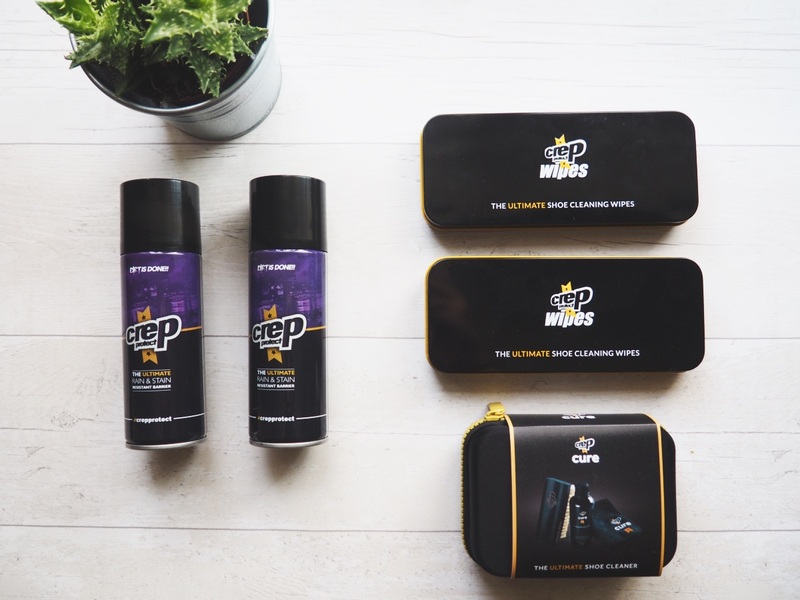 Sneaker cleaning specialists, Crep Protect, sent us a full range of their products to put to the test. It included their shoe cleaning wipes, their rain & stain resistant barrier spray and their Cure shoe cleaner kit. 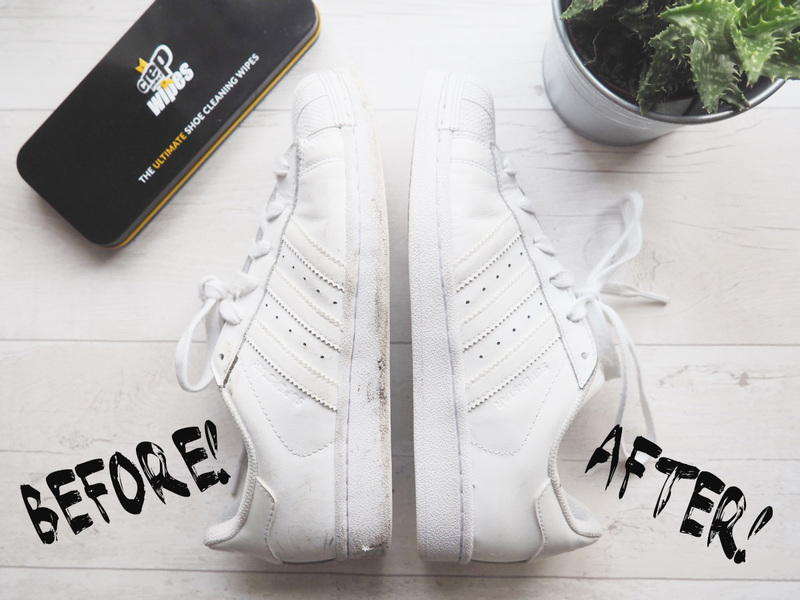 Crep Protect are a well known name in the sneaker world and their products make some pretty bold claims when it comes to protection and cleaning. The wipes come in compact tins, each one in a separate square packet, which you can tear open easily enough when needed. 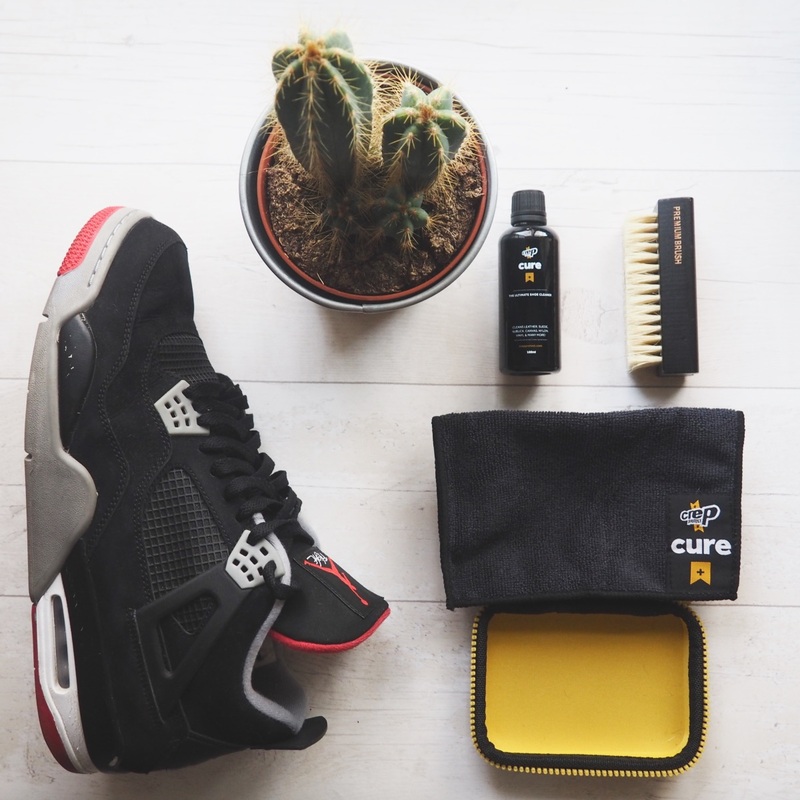 The wipes are more appropriate for every day, not so serious stains for when you just want to freshen up your kicks. Whilst one side of the wipe is smooth, the other side is textured meaning it is perfect for tougher stains that need some extra elbow grease. 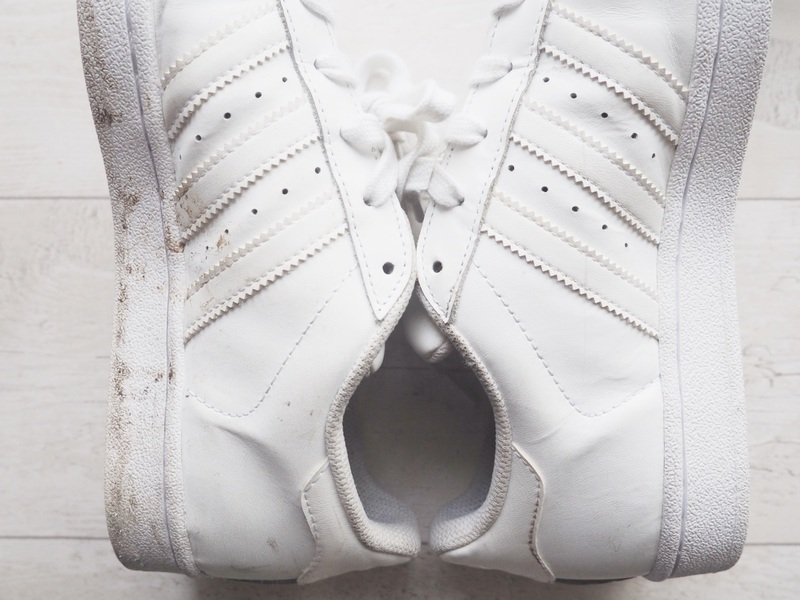 My all over white Adidas Superstars were looking a little grubby, so I quickly gave them a once over with a Crep Protect cleaning wipe; one wipe was enough to clean both shoes. The Cure is the ultimate cleaning kit complete with a liquid cleaner, brush and textured, branded cloth. It's designed for tougher stains on sneakers. James managed to clean up his secondhand bargain Jordan Flights, so they were almost as good as new! 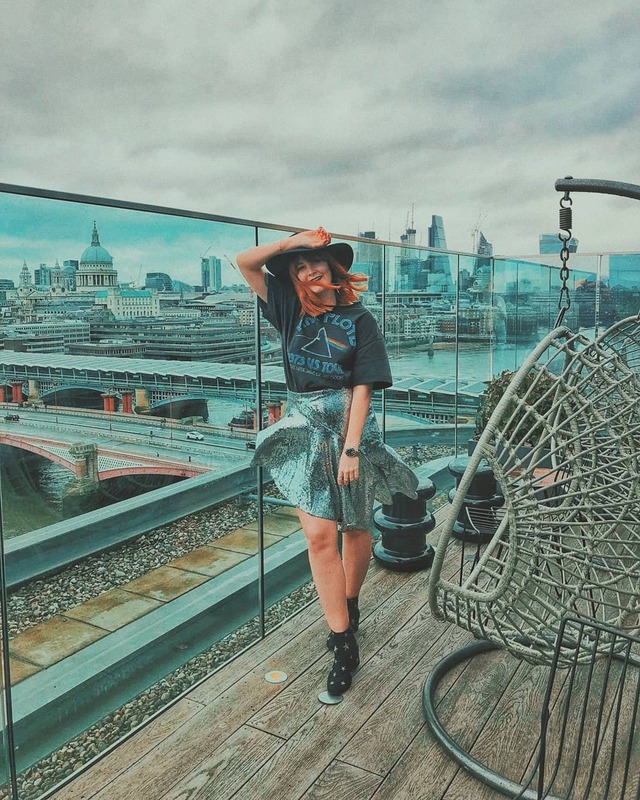 The Ultimate Rain & Stain spray is a pre-protective barrier that should be applied to your shoes to save any mishaps if you are unlucky enough to be caught out in the rain. I applied some to a suede rucksack of mine before heading to Amsterdam. Whilst out exploring one day we were caught out as the heavens opened and we were drenched to the bone. I mean, every single part of me was soaked through! Unlucky for me, I was also carrying that particular suede rucksack the same day. Now, whilst the suede has taken a bit of a beating from the rain that day it is no where near as damaged as it should be. That particular day the rain was torrential and we were stuck, walking around in it for a good hour or so. Considering how heavy the rain was, the Ultimate Rain & Stain spray has done a killer job in creating a semi-rain proof barrier that has meant my rucksack isn't a write off! If you're looking to protect your beloved shoes from rain & accidental stain, then Crep Protect should be at the top of your shopping list! Shop the Crep Protect range on ASOS here. Wow this look the kind of thing my husband need for his shoes. Can you buy it in shop or only online? I need to keep this in mind for my fella! He loves his kicks and this would be the perfect gift. I'm always so scared of investing in white or bright shoes cause I walk everywhere. I suppose I could do with some myself!